The Su 30-MKI (Flanker-H) is a customized Su 27 PU built according to Indian specifications. The M is for Modernized, K for Commercial and I for Indiski (India). It is probably the first time that an aircraft has been built in Russia for a foreign customer specifications. The Su-30 was evaluated along-with the Mirage 2000-5, and found to be cheaper, hence was chosen. The Su27 was first evaluated by the Indian Air Force in 1994, when a team led by the Chief of Air Staff (ACM S.K.Kaul) in Russia. The contract for the first 40 Su-30 fighters was signed in 1996, and the aircraft originally supposed to be delivered in batches and in a phased manner from 1997 through till 2000, with each batch being progressively more improved that the previous batch.In 1998, the IAF signed another contract for the delivery of a further 10 aircraft, originally scheduled to be delivered to Indonesia. In October of 2000, a Memorandum of Understanding (MoU) was signed, which paved the way for a complete Transfer of Technology (ToT) and the manufacture of a further 140 Su-30MKIs in India by the Hindustan Aeronautics Limited(HAL). The deliveries were not without their delays, which were flayed in the India media, however, the first batch of Su-30MKIs were delivered in mid 2002 to the Lohegaon AFB in Pune. 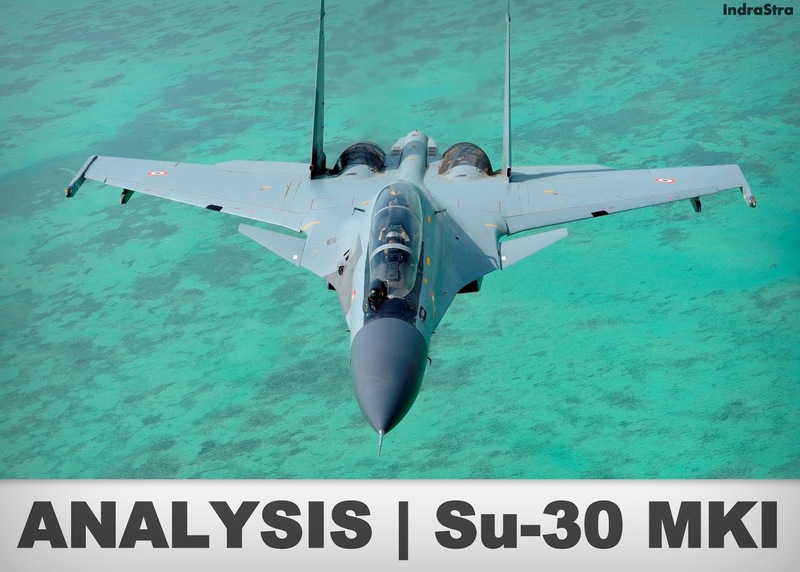 WHY AND HOW WAS SU-30 DEVELOPED? The emergence of more stringent requirements for interceptors, the sheer length of the Soviet Union's northern borders and the sheer scarcity of air-bases in the northern regions of the country, as well as of airborne command posts and AEW&C aircraft, were the factors that led the Sukhoi OKB to develop the Su-27UB trainer into a new specialized interceptor. Firstly, operational experience with single seat interceptors, including the Flanker, showed that working the weapons control system during a dogfight, coupled with the high-G loads, was just too much for the pilot. The problem was perhaps especially acute on the Su-27 with its impressive fuel load and long-range; the pilot would feel like a squeezed lemon when the day was done. Secondly, the capabilities of today's avionics are more than one pilot can handle in a dogfight; to paraphrase a well-known ad, one man, one brain. A second crew-member was clearly needed to ease the pilot workload. Besides, giving the back-seater a second set of flight controls enabled the crew to operate more efficiently during long sorties. The pilot would fly the aircraft, select the weapons and take care of the close-in fighting while the Weapons System Operator (WSO) would detect and destroy the enemy at long range; he could also take over if the pilot in the front seat was wounded or tired. Additionally, the WSO could give directions to other aircrafts during concerted action - that is, the aircraft could operate as a tactical airborne command post en miniature. To this end, it would be equipped with a tactical situation display in the rear cockpit and other appropriate avionics. In-flight refuelling capability became a must in this situation. 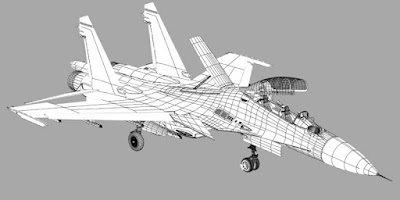 Work on a two-seat interceptor/command post version of the Su-27 began in the mid-1980s with I.V.Yemelyanov as chief project engineer. The Su-27UB with its large internal fuel volume and ten pylons for AAMs was chosen as the starting point. The encouraging results obtained with the aircraft 02-01 IFR system testbed showed that the Su-27P had room for improvement. In the summer and autumn of 1988 a group of Sukhoi engineers in Irkutsk and IAPO specialists modified two standard Su-27UBs to act as proof-of-concept aircraft and coded '05 Blue' and '06 Blue'. Both had the standard two-tone blue camouflage. New features included a retractable IFR probe, a new navigation suite and changes to the FBW controls, life support system and WCS. The aerodynamics remained unaltered. Designing and manufacturing some special tooling and cramming the new equipment into the old 'shell' of the standard Su-27UB was the hardest part of the job. It took the factory six months to do it. The 05-Blue entered flight test in autumn of 1988. Initially the aircraft were flown by IAPO test pilots, while later by Russian Air Force pilots. These trials proved successful and the aircraft were ordered into production in Irkutsk as the Su-30. The Su-30MKI was jointly designed by Russia's Sukhoi and India's Hindustan Aeronautics Limited (HAL). The MKI's airframe is a development of the Russian Su-27 series while most of the avionics were developed by India. Su-30 MKK aircraft. Its avionics, aerodynamic features and components are similar to the Su-35. The aircraft featured many modifications over the Su-27 and the Su-30MK variant. These included canard fore-planes, 2-dimensional thrust vectoring control (TVC), Russian-made N011-M passive phased array radar (PESA) and a range of avionics complex sourced from Russia, France, Israel and India which includes display, navigation, targeting and electronic warfare systems. 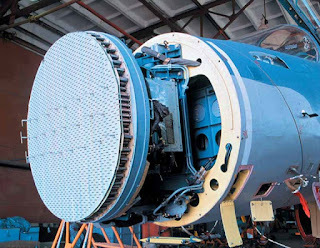 It is also speculated that the passive phased array Radar Irbis-E will be added to the fighter jet by 2010, when the first totally India-built Su-30MKI will roll out from HAL Nasik. The Su-30MKI is more advanced than the basic Su-30MK or the Chinese Procurement. In 1996, after 2 years of evaluation and negotiations, India decided to purchase Su-30MKI aircraft. India signed a US$1.462 billion deal with the Sukhoi Corporation on 30 November 1996 for the delivery of 50 Su-30 aircraft. These aircraft were to be delivered in five batches. The first batch were 8 Su-30MKs , the basic version of Su-30. The second batch were to be 10 Su-30Ks with French and Israeli avionics. The third batch were to be 10 Su-30MKIs featuring canard foreplanes. The fourth batch of 12 Su 30MKIs and final batch of 10 Su-30MKIs aircraft all were to have the AL-31FP turbofans. In 2000, another agreement was signed allowing the license production of 140 Su-30MKIs in India. The deal combined license production with full technology transfer and hence was called a 'Deep License'. The MKI production was planned to be done in four phases: Phase I, II, III and IV respectively. In 2007 another order of 40 Su-30MKIs have been made. Cockpit instrumentation The displays include a highly customised version of the Elbit Su 967 head-up display consisting of bicubic phase conjugated holographic displays and seven liquid crystal multifunction displays, six 127 mm x 127 mm and one 152 mm x 152 mm. The HUD was widely misreported to be the VEH 3000 from Thales. Variants of the same HUD have also been chosen for the IAF's MiG-27 and sepecat-jaguar-shamsher upgrades, on grounds of standardisation. Flight information is displayed on four LCD displays which include one for piloting and navigation, a tactical situation indicator, and two for display systems information including operating modes and overall operation status. The rear cockpit is fitted with a larger monochromatic screen display for the air-to-surface missile guidance. The aircraft is fitted with a satellite navigation system (A-737 GPS compatible), which permits it to make flights in all weather, day and night. The navigation complex comprises high accuracy SAGEM integrated global positioning system and ring laser gyroscope inertial navigation system. The crew are provided with zero-zero KD-36DM ejection seats. The rear seat is raised for better visibility. The cockpit is provided with containers to store food and water reserves, a waste disposal system and extra oxygen bottles. The KD-36DM ejection seat is inclined at 30º, to help the pilot resist aircraft accelerations in air combat. Su-30MKI aerodynamic configuration is an unstable longitudinal triplane. The canard increases the aircraft lifting ability and deflects automatically to allow high angle-of-attack (AoA) flights allowing it to perform Pugachev's Cobra high-lift devices featured as deflecting leading edges, and flaperons acting as flaps and ailerons.The integral aerodynamic configuration combined with thrust vectoring results in extremely capable maneuverability, taking off and landing characteristics. This high agility allows rapid deployment of weapons in any direction as desired by the crew. The canard notably assists in controlling the aircraft at large angles-of-attack and bringing it to a level flight condition. The wing will have high-lift devices featured as deflecting leading edges and flaperons acting the flaps and ailerons. At subsonic flights, the wing profile curvature is changed by a remote control system which deflects the leading edges and flaperons versus the AoA (Angles of Attack)." A modified Su-30MKI is being developed to carry BrahMos cruise missiles, with induction planned for 2012. The program is experiencing difficulties due to the enormous weight of the missile. The forward facing NIIP N011M Bars (Panther) is a powerful integrated passive electronically scanned array radar. The N011M is a digital multi-mode dual frequency band radar. The N011M can function in air-to-air and air-to-land/sea mode simultaneously while being tied into a high-precision laser-inertial or GPS navigation system. It is equipped with a modern digital weapons control system as well as anti-jamming features. N011M has a 350 km search range and a maximum 200 km tracking range, and 60 km in the rear hemisphere. The radar can track 15 air targets and engage the 4 most dangerous simultaneously. These targets can even include cruise missiles and motionless helicopters. The Su-30MKI can function as a mini-AWACS as a director or command post for other aircraft. The target coordinates can be transferred automatically to at least 4 other aircraft. The radar can detect ground targets such as tanks at 40–50 km. 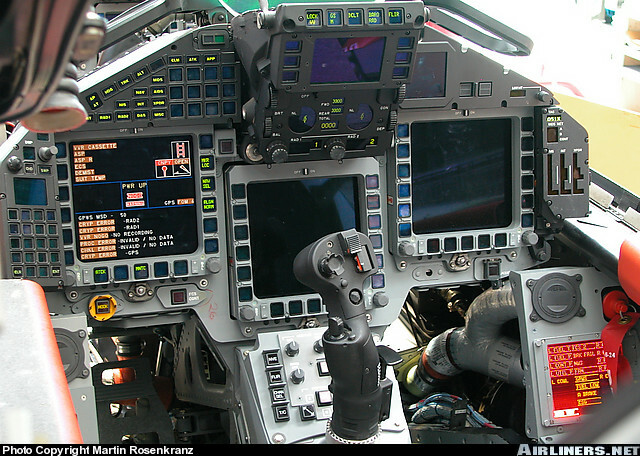 Sukhoi Su-30MKI has electronic counter-measure systems. The RWR system is an indigenously developed system by DRDO, called Tarang, (Wave in Sanskrit). It has direction finding capability and is known to have a programmable threat library. The RWR is derived from work done on an earlier system for India's MiG-23BNs known as the Tranquil, which is now superseded by the more advanced Tarang series. Elta EL/M-8222 a self-protection jammer developed by Israel Aircraft Industries is the MKI's standard EW pod, which the Israeli Air Force uses on its F-15s. The ELTA El/M-8222 Self Protection Pod is a power-managed jammer, air-cooled system with an ESM receiver integrated into the pod. The pod contains an antenna on the forward and aft ends, which receive the hostile RF signal and after processing deliver the appropriate response. The Su-30MKI is powered by the two AL-31FP turbofans, employing AL-100 vectoring nozzle. Each Al-31FP is rated at 12,500 kgf (27,550 lbf) of full afterburning thrust. Two AL-31FP by-pass thrust-vectoring turbojet reheated engines (25,000 kgf full afterburning thrust) ensure a 2M horizontal flight speed (a 1350 km/h ground-level speed) and a rate of climb of 230 m/s. The mean time between overhaul for the AL-31FP is given at 1,000 hours with a full-life span of 3,000 hours. The titanium nozzle has a mean time between overhaul of 500 hours. Al-31FP builds on the Al-37FU with the capability to vector in 2 planes. The TVC nozzles of the MKI are mounted 32 degrees outward to longitudinal engine axis (i.e. in the horizontal plane) and can be deflected ±15 degrees in the vertical plane. This produces a cork-screw effect and thus enhancing the turning capability of the aircraft. There is no strain-gauge engine control stick to change the engine thrust in the cockpit, rather just a conventional engine throttle control lever. The pilot controls the aircraft with help of a standard control stick. On the pilot's right there is a switch which is turned on for performing difficult maneuvers. After the switch-over, the computer determines the level of use of aerodynamic surfaces and swiveling nozzles and their required deflection angles. The Sukhoi Su-30MKI is the most potent fighter jet in service with the Indian Air Force in the late 2000s. The MKIs are often fielded by the IAF in bilateral and multilateral air exercises. India exercised its Su-30MKIs against the Royal Air Force's Tornado ADVs in October 2006. This was the first large-scale bilateral aerial exercise with any foreign air force during which the IAF used its Su-30MKIs extensively. This exercise was also the first in 43 years with the RAF. During the exercise, RAF's Air Chief Marshall, Glenn Torpy, was given permission by the IAF to fly the MKI. RAF's Air-Vice Marshall, Christopher Harper, praised the MKI's dogfight ability, calling it "absolutely masterful". An earlier variant of the Su-30MKI, the MK, took part in war games with the United States Air Force (USAF) during Cope-India 04, where USAF F-15 Eagles were pitted against Indian Air Force Su-30MKs, Mirage 2000s, MiG-29s and elderly MiG-21. The results have been widely publicized, with the Indians winning "90% of the mock combat missions". It must be noted that during the exercise, the USAF fighter jets did not exploit their beyond visual range offensive capabilities, unlike those of the IAF. In July 2008, the IAF sent 6 Su-30MKIs and 2 aerial-refueling tankers, the Il-78MKI, to participate in the Red Flag exercise. In October 2008, a video surfaced on the internet which featured a USAF colonel, Corkey Fornoff, criticizing Su-30MKI's high friendly kill rate and serviceability issues during the Red Flag exercise. A Sukhoi 30 MKI aircraft crashed on 30th April 2009 in the Pokhran region of Rajasthan after it took off from Pune during its routine sortie, killing one of its two pilots. This has been the only crash of the MKI, ever since its induction. 6 × R-27R/AA-10A/Astra semi-active radar homing medium range AAM of range 80 km.